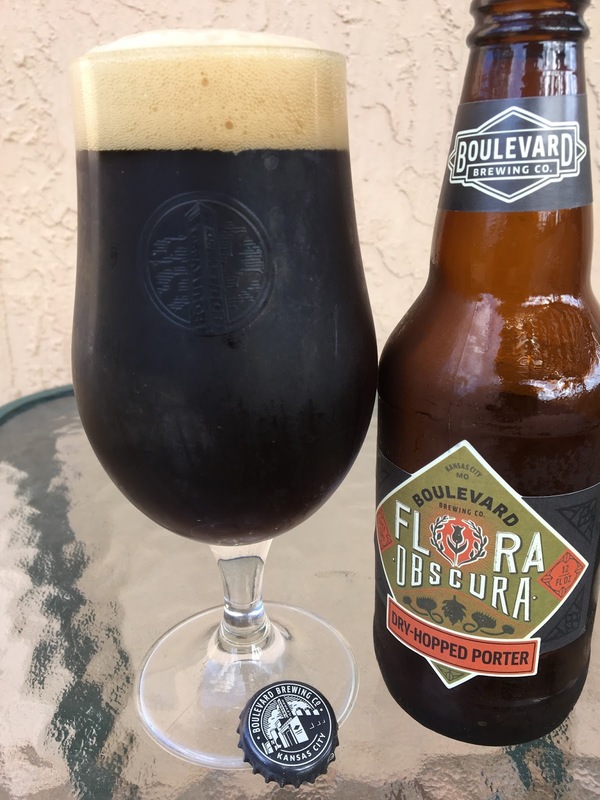 Boulevard Brewing recently debuted a new seasonal: Flora Obscura Dry-Hopped Porter. This is a robust porter dry hopped with a variety of hops to give it a bright, tropical aroma and flavor. Sounds like an awesome experiment! 5.8% alcohol. 50 IBU. Enjoy By 11JUL2018. Drink 27JAN2018. Beautiful tropical fruity aroma, so much like an awesome IPA I could hardly believe it. Didn't really smell anything "Porter." Fruity sweet tropical flavors come first too. But as you take a few sips, a roasty-choco, burnt caramel flavor profile eases into the picture. Some coffee and light smokiness into the finish too. It really is amazing how the two different parts of this beer are so far apart yet complement each other so well! An awesome creamy texture, night and day flavor contrasts feeding off the other. I liked this beer a lot!